Part 2 of Der Kriegsherr von 1914 will continue to look at the warlords or commanders that played a significant role during the first year of the war. In part 1, we briefly covered some of the men, like Moltke, Joffre and Conrad, whose war plans fell by the wayside in the first month of the war. I was also somewhat scathing of the British generals for their failures to prevent the loss of so many lives. That said, even I am not blind to the hardship and problems that beset the British and their counterparts. However, it has been often said, that the armies of the belligerent nations were made up of ‘lions led by donkeys’. The ‘lions’ were the brave men who sacrificed all on the frontline, while the ‘donkeys’ were the generals, accused of making bad decisions far from the front lines. The origin of this phrase was not ‘coined’ during the First World War, but is however often attributed to a conversation held between General Max Hoffman and General Erich von Ludendorff and their criticism of British generals during the First World War. We can’t truly authenticate or verify that this conversation absolutely took place, but a healthy debate nonetheless exists about its use in describing whether or not British generals were incompetent. In fact, we can ask this question of all the commanding officers if they were equipped to cope with the war’s demands? This is true of some more than others, but lets take a look at the remaining men I believe mattered most in 1914. Hindenberg and Ludendorff are often referred to as Germany’s ‘dynamic duo’. Both men came together in 1914 to fight the Russians on the Eastern Front, when Ludendorff was promoted as Hindenberg’s Chief of the General Staff, after he successfully captured the forts at Liege in Belguim. Immediately, their collaboration and presence on the Eastern Front yielded success at the Battle of Tannenburg and finally it seemed that Germany’s war fortunes were a little brighter after the failures on the Western Front. Both men would strive with a single-minded vision for victory, which often put them at odds with Falkenhayn. General Falkenhayn, in particular, had good reason to be fearful of ‘the dynamic duo’s, as successful campaigns in Galicia and Poland in 1915 brought them immense popularity. By 1916, the two men would succeed Falkenhayn with Hindenburg to the position of supreme Chief of the General Staff of the German army and von Ludendorff as the First Quartermaster General. Even though Hindenberg was the spiritual leader of the German people now, it was Lundendorff who was the driving force behind Germany’s military effort. The ultimate tactician would scale dizzying heights as the real dictator of policy. At times, it seemed that both men were inseparable throughout the war, but eventually they would fall out with each other in a bitter split in October 1918. With a lack of resources by the spring of 1918 to carry out a new offensive and an exhausted army, the German army under Hindenberg would sue for peace. Ludendorff, however, wouldn’t accept the terms of the armistice and would resign in disgust just before the conclusion of the war. Foch is best remembered for his bookend victories in both 1914 and 1918. Joffree is often known as the savior of France in 1914 on the Marne. But Foch deserves equal credit for his role in stopping the German advance. 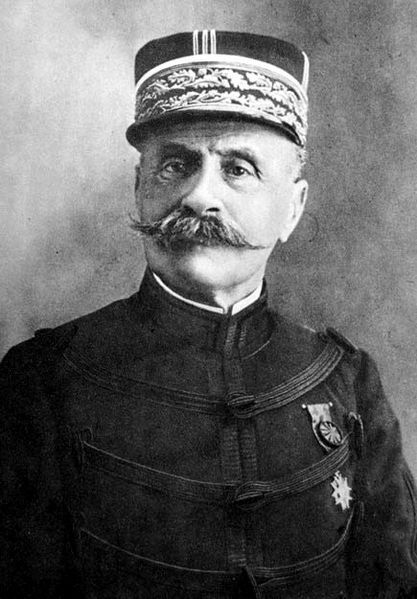 It was his successful counterattacks to protect Nancy and the actions he took in the battle of the Marne that led him to become the French Northern Army Group commander on the Western Front. Unfortunately, like most commanders during the war, he too, was removed from command because of failures at the Somme in 1916. However, he was quickly reinstated in 1917. With his experience in military tactics and realization that a good army must adapt to succeed, he coordinated a series of successful attacks against the Germans in 1918. This led him to take over as Supreme Commander of the Allied Forces. Under his leadership he regained most of occupied France and parts of Belgium. In 1917 Russia would be turned on its head. Brusilov was one of those who argued for the Tsars abdication. He believed the quicker the revolution was dealt with, the faster he could get back to the task of waging war on the eastern front. Following the ‘February Revolution’ he was subsequently appointed commander-in-chief of the Russian army. Unfortunately for Brusilov events beyond his control would see him stripped of his command and Russia’s exit from the war. In the political game of chess that was played out prior to the outbreak of war, Enver looked for support from one of the groups of Great Powers. His decision was made easier when two dreadnoughts the Ottomans had paid Britain to build were requisitioned without compensation. By default Germany found itself as the Ottomans new ally. 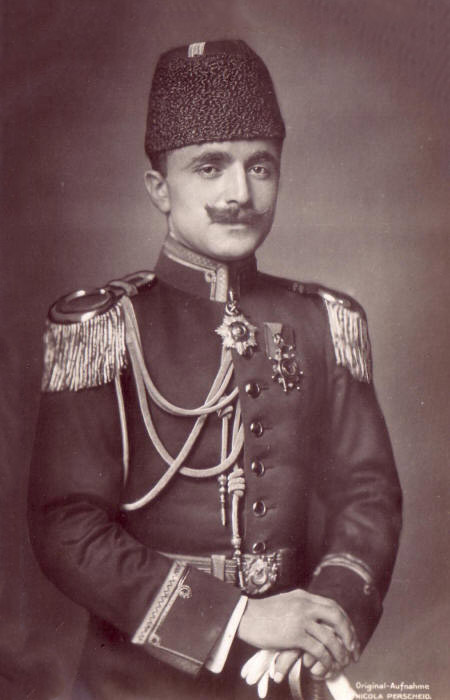 Soon after Russia declared war on the Ottoman Empire, Enver bullishly declared his intentions and took control of all the Ottomans military forces. At only a relatively young age of thirty-two, he committed the Ottoman Empire into a bloody battle against the Russians in the Caucasus in late 1914. The Ottomans were seriously ill- prepared for what lay ahead suffering heavy casualties in their first campaigns. As a result, after the great failure at the Battle of Sarikamish, with his tail between his legs, Enver retreated back to the safety of Constantinople. It was here that Enver decided that it was in the best interest of the State that he cooperate more closely Germany now. 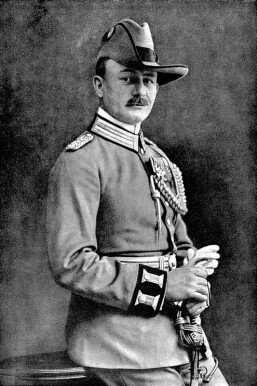 He handed over his command to General Liam von Sanders, who would successfully lead a defence of Gallipoli, along side Mustafa Kemal. Enver would play an interesting role for the remainder of the war. He would regain his prestige somewhat after the successful defence of the Dardanelles. Though he would eventually be overshadowed by the rise of Mustafa Kemal. Far away from the theatre of war in Europe in German East Africa, you wont find no more of a remarkable man than Lettow-Vorbeck. He holds the honour of being the only technically undefeated general of the First World War. Some historians often compare him to T.E. Lawrence as a master of guerilla warfare. Very early on in the war, he realized he couldn’t win a conventional war against a British army that was numerically stronger. (The German commander never had any more than 15,000 troops compared to the British, whose numbers swelled to around 100,000.) He, therefore, made use of his surrounds, in particular the mountains, bush and forest of East Africa to combat against his disadvantage in numbers. He successfully began his war by attacking the British railway in Kenya and shortly after had a significant victory at Tanga in November 1914. He would menace the British for four long years until he belatedly surrendered to the British upon hearing of the armistice in late November 1918. Photo Credit: The header image is an illustration showing Field Marshall Paul von Hindenburg at Tannenburg. All images are in the public domain except the photo of Paul von Hindenberg which is provided by the German Federal Archive under the Creative Commons Attribution-ShareAlike 3.0 Germany license. Thank you. You are very kind Louisa. I spend a considerable amount of time researching, so I do hope that it is reflected throughout this series so far. Yes. Very much so. Keep up the excellent research and posts. This is fast becoming an unmissable series! For what it’s worth, my opinion of Foch is that he was a butcher in the same way that many British generals were. His battles were invariably costly in human life and frequently unsuccessful. 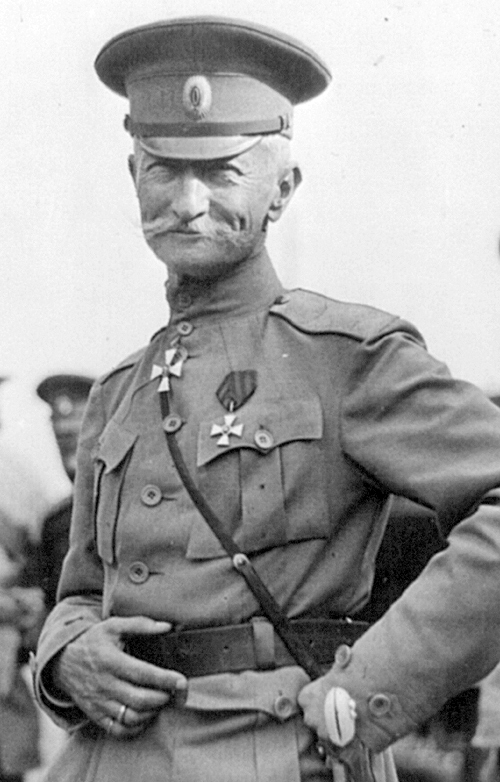 Brusilov, on the other hand, was a superb commander and is often unfairly neglected in accounts of the Great War. And you could argue that the fighting at Tanga was the only battle in World War 1 that was won by bees (see Charles Miller’s Battle For The Bundu for details). I’m now very much looking forward to reading your post about Monash. Both he and von Lettow-Vorbeck shared a concern for the men they commanded, a disregard for military convention and a creative approach that sets them apart from their contemporaries. For me they are the outstanding commanders of their day. Your critique is most welcomed Richard ! Foch should be harshly criticised for his role and I hope to shed some more light on him through this series. Brusilov suffers from the same lack of attention most Eastern Front commanders do, because many historians, likewise students of history, believe the First World War was only fought on the Western Front ? I know its a pessimistic view on my part, but I am equally disappointed that not enough is written about the Eastern front. You will find that in this series, I will definitely give the Eastern theatre of war the respect that it deserves. My grandfather was a Croatian soldier fighting in the Austrian- Hungarian army, so I have a vested interest to be vocal about the Balkan and Eastern Front. Last but not least, Sir John Monash is a revered Australian that I will give attention to, but not until he truly surfaces in this series in 1915.